Time management tips for busy parents. Juggling a family and a job is never easy. Sometimes it feels like you’re spinning all the plates successfully while at other times it seems like they’re all crashing to the floor. Don’t get me started on the times when I’ve forgotten about something – like non-uniform days at school – and felt like a failure. You’ve got to love that mum parental guilt factor (I’m sure dads feel the pressure too). I’ve come to accept that life will never run smoothly. As human beings we’re all imperfect so bound to trip up now and again. There are however, little things that can stop you losing your mind amid the mayhem. I’ve learnt that one of the big keys to success is how we use our time. 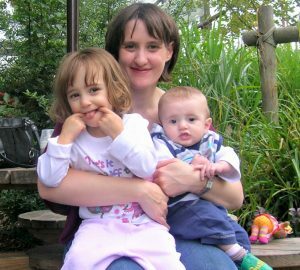 Before I had children I only had to worry about keeping myself organised on a day-to-day basis. I only had to coordinate mine and my husband’s diaries when it came to fitting in appointments and social commitments. Now there are four of us to think about. Good time management is so important for families. It’s a lesson I’ve come to learn, sometimes the hard way. I’ve never been super-organised, but it does help to relieve some of that stress and pressure that I think all parents feel. I’m always looking for new ways to do things that will make my life as a mother easier. Here are my current top time management tips, which work for me and my family. Together they should help you get organised, stay organised and keep you sane. I’m going to make a confession right now – despite being a parent for about 8 years, this never occurred to me until I saw another blogger writing about her own house diary (thank you Mummy Barrow). It’s such a simple idea, such a good idea, and I hadn’t thought of it! My husband and I used to keep our own diaries, but having a centralised planner is very useful. You can record family and friends’ birthdays, birthday parties or other social commitments, appointments and reminders for things such as regular financial outgoings. Planning is the key to success and it will help you to stay on top of things. Implement a filing system for your paperwork. This sounds so boring, but it’s a good idea to file away important paperwork like bank statements, mortgage information, product warranties and insurance details. There’s nothing worse than needing a particular piece of information and not being able to find it. You might use a filing cabinet or perhaps use some sort of box file to store your papers. Your filing system doesn’t have to be fancy, but it’s important that it works for you and is also secure. If you keep any important information in your email account, consider creating a special folder where you can archive this information for future reference. It’s also a good idea to print the information and keep a hard copy in your filing system. Deal with paperwork as it arrives. It’s easy to put off dealing with paperwork like bills, bank statements and kids’ birthday party invites when you’re busy. I’ve done it plenty of times myself. The problem with this is that you can forget what needs doing. Before you know it, you’re left with an impressive stack of paperwork which you’ll probably start avoiding because it looks too daunting. The lesson? Don’t put off what you can do today quickly. Deal with paperwork as it comes in. It should only take a few minutes to reply to read a letter, reply to an invite, pay a bill, check your bank statement or book an appointment. Once that’s done, make a note of any appointments or important dates in your family planner and then file the paperwork away or bin it. Job done. Bulk buy birthday cards and gifts. I don’t know about you, but my children have a better social life than I do! They seem to get invited to so many birthday parties throughout the year, it can be hard to keep up. Rather than buying a card and gift ahead of every single birthday party – who honestly has time for that?! – I recommend bulk buying cards and toys. It means you’ll always have a handy stash for when you need it. This has saved my skin on more than one occasion! Sales are a great time to get hold of cards, wrapping paper and potential birthday gifts. It definitely cuts down on stress. Have separate work and personal bags, and keep them stocked up and easy to grab. When I first went back to work after having a baby, I used to have one main ‘everyday’ bag that I would use all the time. It would be my work bag during the week, but would also come with us on any weekend family outings. As a result of this, I’d find myself emptying it out on a Friday evening, repacking it with ‘mum’ things ready for the weekend and then vice versa on a Sunday evening. Except I wouldn’t always remember to do this. Sometimes I couldn’t be bothered to mess about with the contents of my bag after a busy week or weekend. This inevitably meant that I didn’t always have what I needed in my bag at any given time. It was a recipe for disaster, quite frankly. I now have a bag that I only ever use for work purposes, and a separate bag for when I’m being ‘Mum’. Each bag contains different things and I don’t need to worry about things like my work pass, notebooks or travelcard going missing. Plan your weekly meals and shop online. Ever come home from a long day at work to be greeted by an empty fridge? Spent your lunch hour rushing around the supermarket to buy food for that evening’s family meal? Stop! Planning your meals ahead of time can help you save so much time, effort and stress. Knowing what you’re going to cook from one day to the next can cut down on waste too. Before you start shopping, think about doing a ‘food audit’. My husband and I do this all the time so that we know what items we already have that need using up and what other products we need to get us through the next week. As I type I have some wraps in my cupboard and some chicken in my freezer – all I need are a couple of extra items to create some yummy fajitas. That’ll be one meal for next week sorted. We also do our food shopping online so that it’s one less thing for us to think about at weekends. As well as meal planning, consider cooking your meals ahead of time and then refrigerating or freezing them. This can save so much time after a busy day at work when you’re probably absolutely knackered. It’s also generally a healthier alternative to pre-prepared, packaged ready meals. Freezing any leftovers can also be useful: you can reheat them as the same meal at a later date or ‘recycle’ leftovers into a new meal by adding other items. Okay, okay, so everyone says this, but it really can be a time-saver in the mornings. I actually recommend preparing 2 different outfits for the following day: one for sunny weather and one in case it rains. It will still save time, but will give you that alternative option in case the weather isn’t doing what the forecasters predicted. It’s been known to happen. Bunch out-of-school activities together wherever possible. If you have more than one child with after-school commitments, it can quickly become a nightmare trying to ferry them between venues. To make things a little easier on yourself, try to schedule particular activities together. For example, if your children have swimming lessons, arrange them for the same time on the same day. If your children have different after-school activities in close proximity to each other, try to schedule them for the same day. It will cut down on the amount of travelling you will need to do between locations. Check your child’s school bag every day. My children are notorious for bringing home letters, raffle tickets and birthday party invites from school and never telling me about them. Are yours the same? I’ve learnt to get into a routine of checking their bags every evening to make sure I haven’t missed something. Take advantage of train journeys and lunch breaks. How do you use your free time during your work commute and lunch breaks? I admit I don’t always use this time well, but it is a perfect opportunity to get some tasks done. As parents we all know how precious free time on our own can be so don’t waste it. Use your commute and lunch breaks to be more productive. Book appointments, prepare a shopping list, keep on top of your bank account and payments or anything else you might need to do. 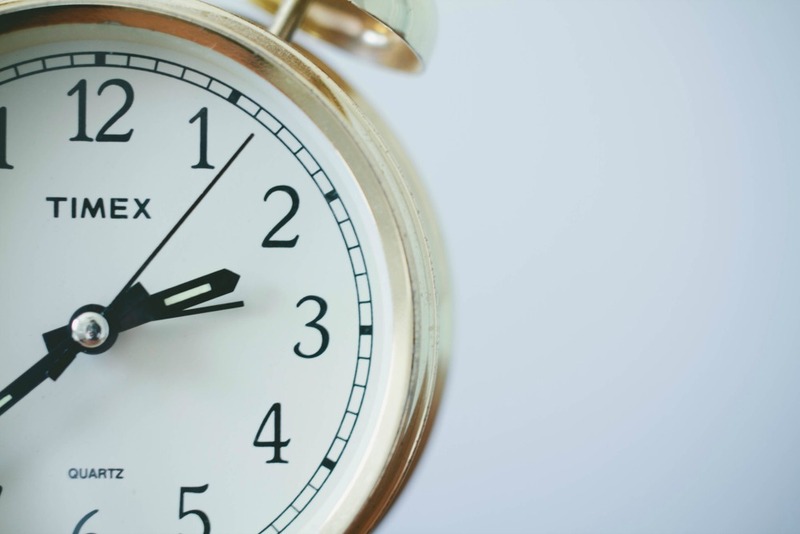 Have you got any other time management tips for busy parents you can recommend?